The apartments share a 4200 square meters farm. The biggest advantage of the complex is the spectacular panoramic view from its comfortable verandas along with the relaxing atmosphere and serene location being simultaneously only 3.5 Km from the capital of the island. 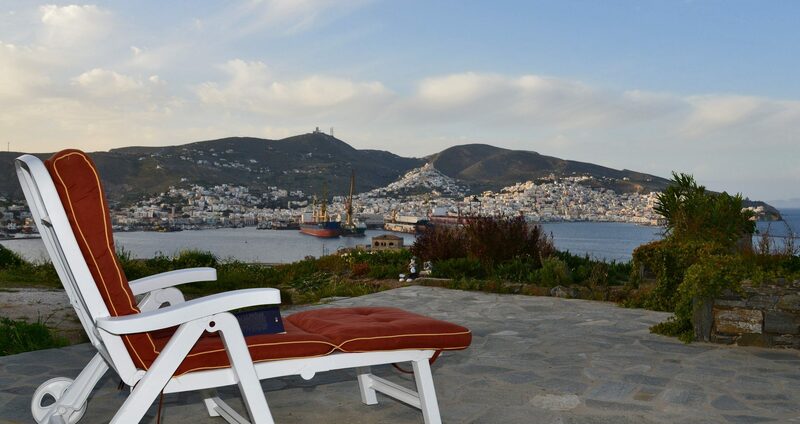 There is access to all the island’s beaches by car within 3 to 15 minutes and Ermoupolis’ marina is only 500 meters far. In addition, a small solitary beach is found at 6 minutes walk from the house.